The exchange with PVT. Allen is ongoing, though I'm unsure where it's going. It's a pretty simple scam, same as the others. They claim to have money for you, and you need to pay fees upfront to get your hands on it. In this one the shipping company wants about 7k to ship a box weighing less than 150 pounds, and they want half up front. I'm hoping to get some fancy new documents out of the deal. Basically since we are working for the government we cannot keep these funds, we have decided to look for someone to help us keep this funds this is why I have contacted you, so you can keep it for us in your safe account or an offshore account. We will divide the total funds in three ways, since we are three involved in this. You will take 30%, and 30% will be for me, and my superior will take 35%. 5% will be kept aside for expenses. This business is confidential, and it should not be discussed with anyone. There is no risk involved whatsoever. If you are interested I will send you the full details, my job is to find a good partner that we can trust and that will assist us. Can I trust you? To ensure confidentiality, when you receive this letter, kindly reply me via e-mail signifying your interest including your confidential telephone/fax numbers for quick communication and also your contact details. Subject: Re: Can I trust you? May I see your military ID? I have to be sure your really a soldier; I'll do anything to help a soldier. Thanks for your prompt response and for the interest you have shown in my proposal. Like I said earlier, the fund is deposited in the vault of a secured depository company where no prying eyes shall see it. The transaction is risk-free and you will have nothing to fear or worry about if you keep it confidential and follow my instructions and directives. Immediately I receive the above requirements from you, they shall be used to raise a POWER OF ATTORNEY in your favor and forward to the depository company, appointing you as my trustee and executor. A copy of my official I.D card is attached to this mail. Download the attachment and keep the I.D for your records. Since I have no access to phone and fax right here, I prefer that you communicate with me through email for obvious security precautions. NOTE, VERY IMPORTANT: KEEP THIS TRANSACTION VERY CONFIDENTIAL AND HENCEFORTH, CHANNEL ALL YOUR COMMUNICATIONS TO ME THROUGH THE ABOVE EMAIL ADDRESS ONLY. I look forward to recieving your earliest response. Thanks for your mail and you information included in it. I want to believe that God has directed me to the right partner who can handle this project even on my behalf. Though, every document bearing you the beneficiary of the consignment is already in process and by Monday they will be faxed to the depository company. I remember I told you the consignment (fund) is deposited with a security company in London and this transaction may require you to travel to Spain their claiming center for the claiming of the consignment. I have already told them that you are my trustee and the consignment should be handed over to you on my behalf. The reason why they have not contacted you is because of the documents my attorney is yet to send to them. My plan is to resign as soon as you have claimed the fund and move to your state to settle down. My dream is to be a complete businessman but I never had the opportunity and now that I have found you, I believe you will bring me up into business line. Though you will set up the investment for me which I will make you the managing director of the company and you will carry me along. I need you to send a copy of your passport or driver’s license and beside these two identity that I requested from you, is there any other evidence like business experience or company credential you can give to convince me that with you my fund is 100% secure because I don’t want to fall in the hand of the wrong person. The first person I contacted for this project was a man from Africa continent who almost fraud my fund until I discovered that he was not genuine and all the information given to me was fake. This happen last two years ago and ever since then, I decided to silent on till now that I make contact to you. For now, it's only through mail we can communicate for obvious security reason. I cannot call you or send any telephone number to you because right here in the Camp, we communicate with Walkie-talkies only. We have telephone in our Brigade Headquarters inside Baghdad, but of course you I know I cannot place any call to you without caught because both out-going and in-coming calls are being bugged for security reason. NOTE: KEEP THIS TRANSACTION VERY CONFIDENTIAL AND HENCEFORTH, CHANNEL ALL YOUR COMMUNICATIONS TO ME THROUGH THIS EMAIL ADDRESS ONLY. I have reattached my identity and the photo we snapped when loading the fund inside the consignment to this mail. Please do not expose it for security reason. You can confirm this consignment from the courier company with the CONSIGNMENT NUMBER GDS-NGR-8732. Please get back to me with your identity. I commit our project to God. Looking forward to your information and identity. To be honest with you sir, my name isn't Michael. I work for Mr. Chance as his assistant. My name is Lim, and I'm actually from the UK. I would love to help you with this matter if we can do so without Mr. Chance's knowledge. He doesn't use this email account, only I do. It's mainly for making appointments for him. I've attached my passport for you. Thanks for your complete information sent to me.Since there will be no problem in doing the transaction without the knowledge of Mr.Chance we can go ahead. I have sent your real names to my attorney for the preparing of the documents and like I told you, the courier company will contact you tomorrow. Can you kindly resend your full address for it's needed for the transaction. Since the courier company have their claiming center in Spain, how soon will make it to Spain because we must make every thing fast so we can start the investment project immediately. In which area of business do you think we can jointly invest my share of the fund. Please reply me regards to that and God bless you for your honesty. I remember I told you the courier company does not know the consignment contains money so please keep it secret when they contact you. Oh the address and everything is the same as at the bottom of the email. I'm here all day working so its not a problem. I'm sure we can invest your money in real estate, I know Mr. Chance sure makes a lot of money doing it! I can't wait until we finsih this deal, then maybe I can live the American dream like he does. I spend all my time working like a slave for him! I'll do whatever it takes to get this deal done; thank you so much for helping me pursue my dream. I come from a very poor family in the UK, and I owe a lot of money just for coming to the U.S. Thanks for your mail. The Lord will see us through in Jesus name. It’s an opportunity for you and I to meet in life and for this purpose, God must make an ever lasting relationship between us. I have sent a mail to my attorney that the address and phone number remain the same. Since Real Estate business fetches money we shall go for that. Can you make it to Spain where the consignment will be handed over to you? Because if you cannot travel to Spain , it means you will arrange with the courier company to deliver the consignment to your house in the state because they are capable of doing that. Although this will cost you money but it may be more secure and advantage to us. But if you can make it to Spain , it will be ok too so you can open an account over there in Spain, deposit the fund and transfer immediately to your account in the state. Do update me when the company contacts you tomorrow. Have a nice day and God bless you. Hope you pray for God’s protection over my life here? I would love to go to Spain! I actually have vacation time coming up in a couple of weeks. Where in Spain do I need to go? This is so exciting! 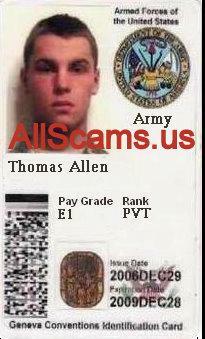 On behalf of this organization and Thomas H. Allen, i am Richard Davis is contacting you as the delivery officer of the company. I was instructed by the management to contact you regards to your consignment deposited with us. We have been told that you are the beneficiary of the consignment and with documents prove. I want to use this medium to inform you that you are to come to our storage house in Spain with the sum of 7800 Euros (Handling charges) where your consignment will be handed over to you. Alternatively, if you want us to deliver your consignment to your door step in the State, it will takes us 24hrs to get the delivery done and it will cost you 4500GBP which you will pay 2500GB as advance payment while the balance will be paid directly to our delegate when he arrive your house. If you want the consignment deliver to you, kindly send to us your full address, cell phone and a copy of your identity for identification to avoid wrong delivery. The delivery will take us just 24hrs. I will direct you how you can make the advance payment immediately i receive this information from you but if you prefer coming to Spain, do send to us your flight schedule as soon as possible. we hopefully look forward to your urgent reply and telephone call. Do call me as you receive this mail for further explanation. Oh, as I said, I would so love to come to Spain, I hear it's just beautiful. Do you think it would be a problem brining such a large amount of cash back with me though? How much will customs allow me to carry on me? How heavy is the package?? How are you doing today? Hope you are fine. The courier company just sent me mail asking if the consignment contains money. Did you tell them the content of the consignment? Because I have warned you not to reveal the content of the consignment to the courier for security reason. I have sent mail to the courier company now that the consignment contains valuables worth of $25m. I want you to conclude fine with the courier company and to tell then when exactly you will be coming to Spain to pick up the consignment. They also told me you need to come to Spain with handling charges of 7800 euros. I believe you will open an account in Spain and lodge in the fund first and then transfer to your account. Please don’t tell them the content of the consignment. I hope to hear from you soon. I just need a little advice on how to handle the money. We are talking about a lot of money, it's not like it will fit in a shoe box. In must fill a truck and weigh over 1000 pounds. How am I supposed to walk into a bank with that??? What should I do? I don't believe I told them what was in the box. They're lying to you. How do you mean? They are lying to me in what way? I personally deposited the consignment and the content was not revealing to them. The company forwarded the mail sent to you to me and right there they said the consignment can be delivered to your house. Why don’t you conclude with them for house delivery since you are scared to open account in Spain . I'm not scared my brother, I just don't see how you can roll in any bank with millions in cash and not have a problem! In the States we do have a little something called the IRS and when you deposit more that ten thousand in cash, they report you to the IRS. I just don't want to see our money end up the the hands of the US government. Surely you understand that? Paying for the shipping isn't a big deal, I just can't have someoen drop of millions of dollars at my door though. I understand how you mean now. So how do you think we can do the transaction because I was suggesting that when the consignment is handed over to you, you can keep it in your house and I will make arrangement for coming as I will process my resignation letter immediately and then we can start our Real Estate investment plan. My worry is that I don’t know how soon you can make it to Spain because the money which was paid for storage will expire by Monday next week and I don’t know if you can make it before Monday. They have warned me since last 2 weeks to come and pick up my consignment hence it will start accumulating demurrage and their charge is high. They company also told me to pay 1150 pounds to extend it expiring date till first week of June and if you can help me with this, I think it will be more better for us so by then you will be on vacation as you told me as you will use the opportunity to Spain. But if you can make it to Spain before Monday next week it will also be good. So what do you think we should do now as I have said so far? Man, I don't know what to do buddy, seems we should pay for the extension, don't you think. Can you at least pay for half? I spent all my cash on beer and chicken wings over the weekend. By the way, when I get to Spain, can you hook me up with any chicks?? You do know some hot women don't you? I am here in Iraq and not Spain so how do you think I can do that. I have not even been in Spain before. I explained to you my movement here as we are being monitor so I cannot send money so I will not be caught. This is one of the reasons why I needed your assistance because I cannot sponsor the transaction. As I state earlier that additional 5% will be given to you for every expense you will make. Thats so cool, I wish I could be there. I'm waiting for my travel agent to call me and let me know about my tickets, I'm not sure if I'll need a Visa to get into Spain or not. Anyway, gotta go, the boss is calling!! I received your mail but we don’t really understand what you are talking about. Mr. Thomas Allen said the consignment contains valuables worth of US$25,000,000.00 and you were mentioning money. consignment to you in Madrid. We also told you if you want us to deliver your consignment to your door step in the State, it will takes us 24hrs to get the delivery done and it will cost you 4500GBP which you will pay 2500GB as advance payment while the balance will be paid directly to our delegate when he arrive your house. I will direct you how you can make the advance payment and as soon as i receive the payment information from you, the delivery will commence immediately. 6800 USD SEEMS AWFULLY EXPENSIVE TO SHIP A PACKAGE WEIGHING ONLY 68 KG. Why so high? The reason why the delivery is expensive is because the consignment will not be scanned by the customs and we need to pay non inspection charges. Unlike every other delivery that the content will be open to the custom view and your case, the consignment will not be open. We told you we need the advance payment (2500GBP) to enable us pay these charges while the balance will be paid to our delegate after handing over your consignment to you. The delivery will take 24hrs after we have received the advance fee. Could you please send me the documents you have on file concerning my consignment? MR. RICHARD DAVIS FORWARDED YOUR MAIL TO THE MANAGEMENT DESK. YOU NEED NO DOCUMENTS TO SPAIN AND YOU NEED IS TO COME TO MADRID WITH A COPY OF YOUR INTERNATIONAL PASSPORT. YESTERDAY AND WE NEED YOUR FLIGHT SCHEDULE TO SPAIN SO WE CAN CONTACT OUR OFFICIALS IN SPAIN WHO ARE IN CHARGE OF YOUR CONSIGNMENT SO THEY WILL WAIT TO RECEIVE YOU IN THE AIRPORT. NOTE: THE HANDLING CHARGES 7,800GBP IS MANDATORY. YOUR CAN REACH US IN ANY OF THESE LINES. I understand sir, but I personally would be more comfortable seeing some documents that confirm the existance of the package. Why would showing me such documentation be a problem? I was asked to send a passport, and I did. Now I need you to show good faith, and show me what I need to feel safe. WE DO NOT SEND YOU ANY DOCUMENTS AS WE ONLY NEED YOUR FLIGHT SCHEDULE TO SPAIN SO WE CAN GIVE YOU THE CONTACT INFORMATION OF THE OFFICIAL IN MADRID THAT WILL HAND OVER YOUR CONSIGNMENT TO YOU AND YOU WILL PAY THE HANDLING CHARGES TO THEM. SEND YOUR FLIGHT SCHUDULE FOR US TO SEND YOU THE SPAIN CONTACT DETAILS. I'm sorry gentlemen, this is beginning to sound a bit odd. A shipping company that has no documents regarding an item scheduled for overseas transport. Its simply not possible. I can't book a flight without seeing that confirmation. If you have no paperwork, then you have no package. 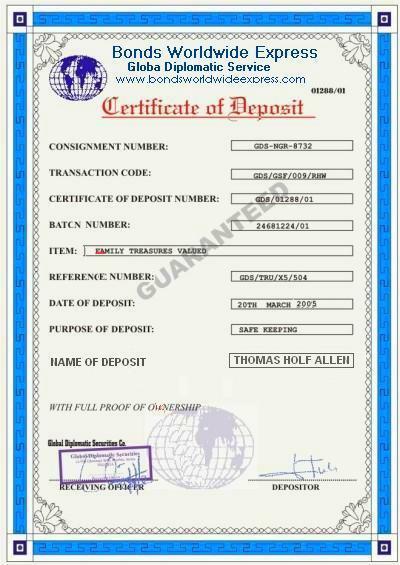 WE ACTUALLY WANTED THOMAS ATTORNEY TO SEND YOU THESE DOCUMENTS BUT SINCE HE IS NOT AROUND TO SEND THEM TO YOU, I DECIDED TO LISTEN TO THOMAS ALLEN. 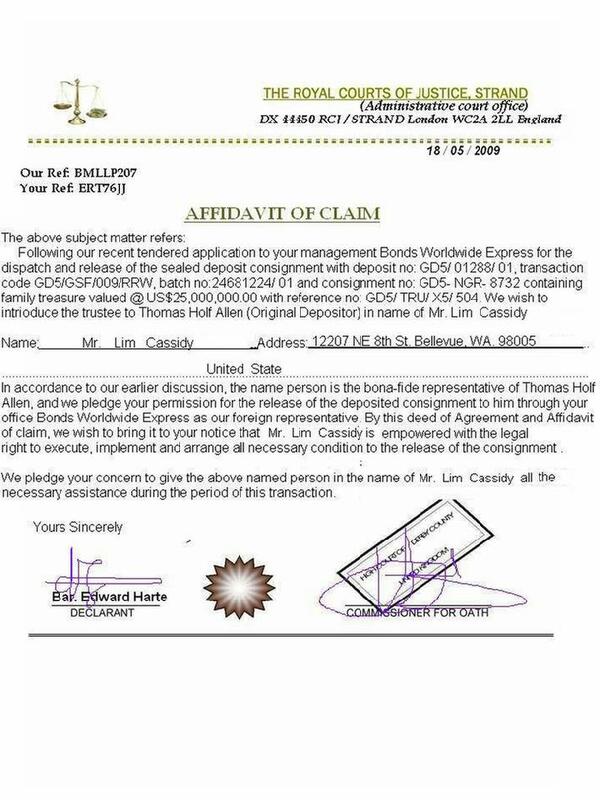 I HAVE ATTACHED THE CERTIFICATE OF DEPOSIT AND THE AFFIDAVIT OF CLAIM TO THIS MAIL. CAN YOU SEND US YOUR FLIGHT SCHEDULE TO MADRIP IN SPAIN SO I CAN SEND YOU THE CONTACT OF THE OFFICERS IN CHARGE SO YOU CAN OPEN UP COMMUNICATION WITH THEM AS THEY WILL PICK YOU UP FROM THE AIRPORT. I TOLD YOU THE SUM OF 7800 EUROS WILL BE PAID AS HANDLING CHARGES TO THEM AS YOUR CONSIGNMENT WILL BE HANDED OVER TO YOU. IF YOU WANT THIS CONSIGNMENT TO STAY HERE TILL FIRST WEEK OF JUNE, YOU ARE REQUIRE TO PAY THE SUM OF 1150GBP IMMEDIATELY FOR STORAGE BECAUSE THE STORAGE FEE PAID WILL EXPIRE TOMORROW. I WILL DIRECT YOU HOW TO SEND THE MONEY IMMEDIATELY YOU ACKNOWLEDGE THIS MAIL. Yes sir, let me call my travel agent and see how soon I get get a flight booked to spain. I'll send you the info ASAP. I was instructed by the management to contact again today as we have not heard from you since last week. Do update your flight schedule. I had so much preperation work to do for my employer before I leave on my grand journey. He doesn't even realize I'll never be back! I'm supposed to make about a dozen appointments for him prior to leaving, but I'm not making one!! Here is my schedule; can someone pick me up at the airport? We received your mail and the flight schedule which has been forwarded immediately to the storage company in Spain. They are looking forward to hear from you so they will also tell you how you will be picked in the airport by Thursday. Make sure you contact them as soon as possible as they are waiting to hear from you. 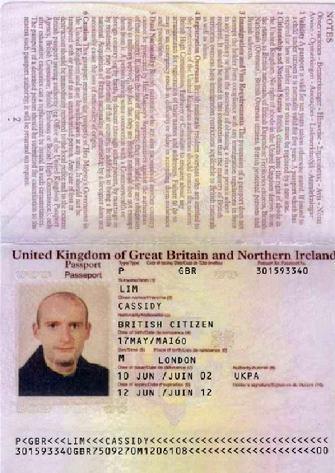 They have all your information already and a copy of your passport send to us by your partner Thomas Allen. Always update us your conversation with them so if there is any way to render assistant to you we can do that immediately. Note: The handling fee 7,800.00 will be paid directly to them in Madrid. We write to inform you that we are in custody of your box Consignment sent here with your name as the end receiver by WORLDWIDE EXPRESS.This consignment was shipped through Diplomatic Courier Services International (DCS) and declared officially as valuables. In this regard please be informed that our procedure for the release of the aforementioned consignment entails a visit to our office here in Madrid-Spain for the purpose of verification, identification and collection of the consignments. 1 Two recent passport photograph of your humble self. 2 The sum of €7,990 (EUROS) Cash representing the cost of shipment, handling charges and customs clearance fees. 3 The presentation of your international passport/drivers license for identification upon demand. information supplied in your file. NB--- AS SOON AS WE RECIEVE YOUR FLIGHT DETAILS,WE WILL MAKE HOTEL RESERVATION FOR YOU IN A GOOD HOTEL CLOSE TO OUR OFFICE,AS WELL SEND OUR PROTOCOL OFFICER WHO WILL BE AT THE AIRPORT TO PICK YOU,SO THAT YOU DONT FIND IT DIFFICULT TO LOCATE OUR OFFICE.COULD YOU INDICATE THE CLASS OF HOTEL YOU WILL WISH TO LODGE DURING YOUR VISIT.WE HAVE CALLED YOUR TELEPHONE NUMBER,BUT IT IS DISCONNECTED.